The inventory of unsold homes listed for sale in San Francisco ticked up to 557 over the past two weeks and is currently running 38 percent higher versus the same time last year, the greatest year-over-year increase we’ve recorded since 2010. The overall inventory level is the highest since 2012 for this time of the year, with the percentage of properties on the market listed for under a million dollars currently holding at 39 percent (32 percent for single-family homes). 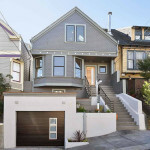 At a more granular level, the number of listed single-family homes on the market (201) is currently running 16 percent higher while the number of listed condos (356), which doesn’t include the vast majority of new construction units on the market in the San Francisco, is now running 55 percent higher, year-over-year. But we haven’t yet seen a significant uptick in percentage of listings for which the asking price has been reduced (which has been holding at 13 percent for the past two months and even with the same time last year). High prices bring more people looking to cash out. 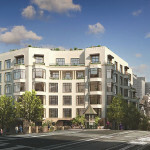 Indeed, it is as if supply and demand have an impact in the real estate market, even in San Francisco. The same effect is at play even in my very modest Oakland neighborhood, where prices cresting over 2006-peaks are bringing many homes back onto the market. I’m currently searching in Oakland– likely in your modest neighborhood. I think I’m seeing the same thing, anecdotally– but haven’t been able to confirm it with data and I’m still not sure if it’s a seasonal effect or something bigger. “Nicer” homes have only been coming on the market in the past six months or so. Fixer asking prices have also started becoming more aggressive. Ah yes, the closed minded microcosm. Alas billions of people and trillions in funds are not in the Bay Area. You see, various world and policy events have strong affects on seemingly insulated, local markets. Separately did you hear anything about down rounds, lofty valuations, an icy VC climate? Did you completely ignore the backlash against ‘wasting daddy’s money’, ‘all growth, no profit’, and the globalization of the tech industry? That an Israeli company helped the fbi crack iPhones? Also sounds like you are invoking a mythical supply? Or wait, is it that demand for the most expensive and overvalued properties is not quite what it used to be? It’s not exactly breaking news that there are many infosec companies in Israel. The state of vc market has been covered excessively.